What can you say about tragedy? When it’s imminent, you brace yourself and hope to come out unscathed. In its aftermath, you mourn and, eventually, you move on, healed… but not quite ever the same. Still, what, exactly, can you say about tragedy? Plenty, as you’ll see in the book “In Remembrance of Emmett Till” by Darryl Mace, and the strongest words come from influential places. Mamie Till-Mobley was born in Mississippi but, when she was just two years old, her family joined the Great Migration and settled in Chicago. They left a state where lynching was “an all-too-common experience for blacks” and segregation was a way of life. Things were different in Illinois; there was still racism, but it wouldn’t likely kill anyone. In this less-tumultuous place, Emmett Louis Till was born and raised and, due to his Chicago upbringing, “could not understand what it was like to be black in Mississippi.” Still, as was the habit of many Midwestern African American families at that time, 14-year-old Emmett was sent to spend the summer with an uncle in the south. It was a tragic mistake. In the days following August 31, 1955, when Emmett Till’s body was pulled from the Tallahatchie River, “print media outlets… sprang into action” to report “yet another senseless murder of a black male…” Publications– both mainstream and black– leaped on the story in days to follow, reporting on “indifference” from Mississippi officials, lack of outrage from white Mississippians at the murder, and the ensuing trial at which the defendants were observed laughing. Interestingly, Mace says that mainstream Midwestern newspapers covered the story differently than did papers in the West and Northeast. African American publications, particularly from the Midwest, also had understandably different angles. They were, he says, the ones to keep the story alive long after the trial ended. “At the time,” Mace further adds, “whites in the Deep South could not see that with his death Emmett Till sowed the seeds of change that would sprout forth into the modern civil rights movement. “Regardless of race, Americans… and these members of the Emmett Till generation would change the very nature of race relations in the United States.” I struggled some with “In Remembrance of Emmett Till.” Part of the problem is that this book is more academic than I expected; there were times when I was riveted by the information author Darryl Mace uncovered, while other pages made me want to just shelve it awhile. There’s a good sense of time and context here, though, and that helped. Mace gives readers ample opportunity to understand why Till’s violent death wasn’t just “another senseless murder;” why the U.S. was ripe for Civil Rights progress made in the decade after his slaying; and how the press, especially sixty years ago, served its public. Scholars and historians may appreciate more from this book than most, but Mace’s thoroughness will get you through if you casually want to tackle it anyhow. 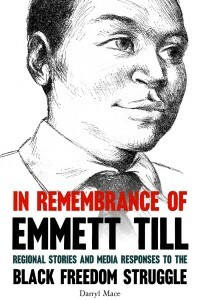 Try “In Remembrance of Emmett Till,” and see what you have to say. Why was your credit card transaction denied?